Bad breath is something we all worry about. It’s part of our appearance, and we are all aware of how that can affect our relationships. When we meet new individuals, speak with others in close quarters, or greet a partner, bad breath is on our mind. We worry about how bad breath affects first impressions. Flossing helps prevent plaque buildup between your teeth. It also helps flush out pockets of bacteria. Together, plaque and bacteria can create bad breath. To minimize your chances of being caught with bad breath, floss every day. 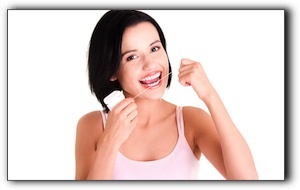 At Choose Your Smile in Kelowna, we advise that you floss every time you brush your teeth. At the very least, we encourage you to floss every day before you go to bed. Our services include general and cosmetic dentistry. Schedule an appointment today! If you need another reason to keep your gums as healthy as possible, read this post from Choose Your Smile in Kelowna. Periodontal disease, commonly called gum disease, is inflammation or infection of the gums. For the most part, periodontal disease is preventable. It is critical to see your dentist regularly to keep your gums healthy (as well as your teeth). To schedule a periodontal disease exam, call Choose Your Smile in Kelowna. Our services include gum disease treatment and general dentistry. Make an appointment today. At Choose Your Smile in Kelowna, we make every effort to keep our patients comfortable. Though our chairs are cushy as can be, we are not only talking about physical comfort here. We are talking about peace of mind. 1. We don’t judge you. We have devoted our careers to promoting dental health and creating beautiful smiles. We have treated patients with severe tooth neglect, advanced gum disease, enamel erosion caused by eating disorders, tooth damage caused by illegal drug use, baby bottle tooth decay, tobacco-stained teeth: basically, every imaginable dental trouble. We don’t live in a bubble. We understand and empathize with our patients. 2. We protect you from pain. From topical analgesics to sedation, we will eliminate or minimize pain as best we can. Your comfort is important to us. 3. We help you with your dental anxiety. Fear of the dentist is far more prevalent than you might realize and certainly nothing to be ashamed of. The perceived loss of control, instruments poking in your mouth, and teeth being worked on is not pleasant. Some individuals get claustrophobic because they need to lie still in the chair for treatment. 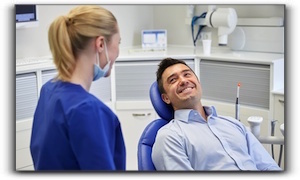 Sedation dentistry allows you to relax through your appointment. There are different levels of sedation, and we’ll determine the one that is best for you. If you have postponed dental treatment for any reason, we encourage you to call us at Choose Your Smile in Kelowna. Don’t put your dental health at risk! Our services include general and cosmetic dentistry. Make an appointment today. If you are scheduled for cancer treatment due to a recent diagnosis or relapse, oral health is probably not your first priority. However, the team at Choose Your Smile dentistry in Kelowna, we urge you to give some attention to your teeth to prevent or minimize common cancer-related dental complications. 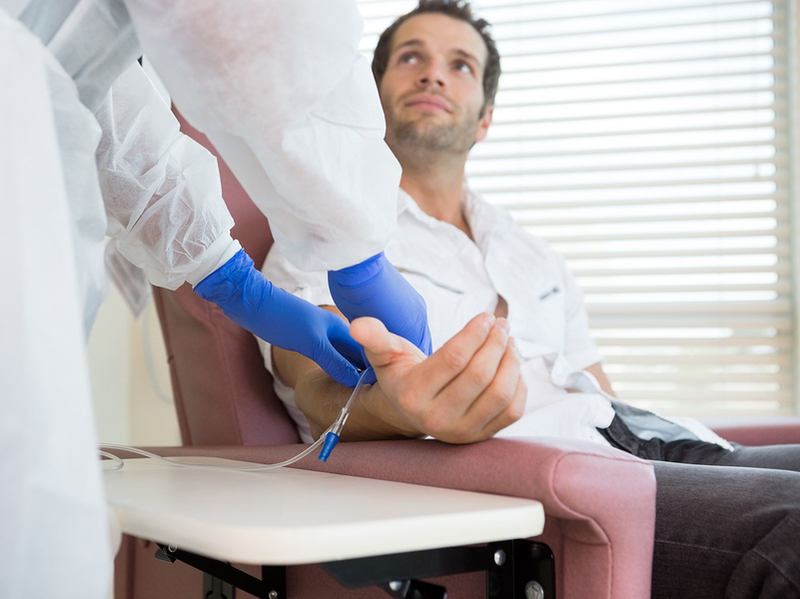 According to research, cancer treatment often takes a heavy toll on dental health. We extend to our dental patients battling cancer our sincere hopes for your successful treatment. At Choose Your Smile in Kelowna, we wants to help you maintain oral health before, during, and after your cancer treatment. We offer comprehensive preventative and restorative dental services including general and cosmetic dentistry. You’ve been doing it since you were five. You switch to auto pilot morning and night and go through it. But the team at Choose Your Smile dentistry in Kelowna asks: are you doing it right? Actually, a lot of people make mistakes when they brush their teeth. You may need to tweak your routine to better sustain your oral health and guard your smile from cavities and gum disease. You probably want to get it over with and go to bed. But brushing your teeth takes time and attention. Time yourself the next time you brush—you might be surprised at how swiftly you finish. The process should take at least two to three minutes. It can also be useful to take a different route around your mouth every few days. By adjusting your routine, you approach areas from a different, and possibly, better angle. No matter how agile you can be with your brush, it’s difficult to clear away the plaque from all those narrow gaps between your teeth. That is where bacteria can easily propagate and start the decay process. It is ironic that some people impair their enamel or gums because they brush too vigorously with a hard brush. We counsel patients to only use a soft brush. If you’ve had gum grafts, you may want to use an extra soft brush. This is horrible to think about, but each time the toilet is flushed, bacteria is sent far into the air—even if you close the lid. Keep your toothbrush in a clean place and allow it to air dry. This may seem like a no-brainer, but you may be surprised that some oral care products don’t contain fluoride. And you may think fluoride is only for children. Not true. Your enamel is consistently under assault from acidic foods and drinks and fluoride helps it remineralize. 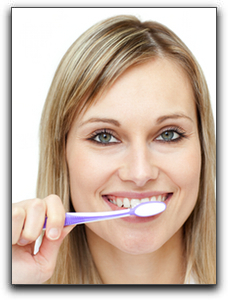 So there you have it, five tips for improving your dental health regimen! Here’s one more: see us at Choose Your Smile in Kelowna every six months for a cleaning and checkup. Our services include general and cosmetic dentistry. Call our office today to schedule your next appointment. In this blog post from Choose Your Smile dentistry in Kelowna, we will highlight some of the simple things you can do with your toothbrush to keep your mouth as clean and healthy as possible. One of the most important habits you can form is to always allow your toothbrush to completely air dry between uses. The best way to let the toothbrush air dry is by placing it in a toothbrush holder on the counter with the bristles pointing up. This method of storage is much better than sticking it away in a drawer since it will take longer to dry in there. Also, make sure your toothbrush is dry before you seal it away in a travel container. A good strategy for making sure your toothbrush has ample time to dry is to buy two of them. Alternate between the two, so each has time to fully dry out between uses. Also, replace your toothbrush (or toothbrushes) every 3-4 months, or sooner if you’ve had a cold! At Choose Your Smile in Kelowna, we want each of our patients to have the best dental health possible. Our services include general and cosmetic dentistry. Schedule an appointment with us today. Many of our patients at Choose Your Smile in Kelowna wonder why, with all the advances in dentistry, we still send you home with a complimentary toothbrush and roll of floss. It’s true, they do seem a little old-fashioned in our high-tech world, but don’t let that fool you. These tools are your best friends to prevent cavities, plaque build-up, and gum disease! When done properly and consistently, brushing and flossing are an essential part of everyday oral hygiene. Brushing, which should be done at least twice a day, can be done capably with any type of toothbrush. There is no need to pay a bundle for a fancy electric toothbrush. 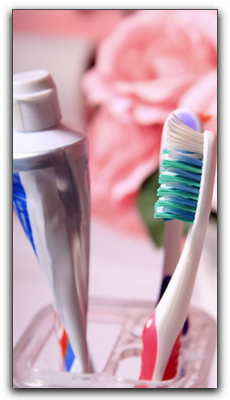 Just brush your teeth in small, circular motions for 2-3 minutes making sure to reach all the surfaces. Flossing should be done once a day and is critical for reaching the areas where a toothbrush cannot. Some patients wonder whether it’s better to floss before or after brushing. You can make a case for one or the other, but we think the most important thing is that you do both. At Choose Your Smile dentistry in Kelowna, we offer general and cosmetic dentistry. Schedule your next appointment with us today. You probably believe the most important thing about flossing is to do it every day. Guess what? We agree! However, many people find that trying out a few different types of floss helps them to establish the habit and get the flossing comfort they desire. And the team at Choose Your Smile dentistry in Kelowna agrees with that, too. Basic floss is either a monofilament floss, which is frequently made of some kind of rubber or plastic, or multifilament, which is made of nylon or silk. Nylon floss is less pricey, more common and is sold waxed or unwaxed. 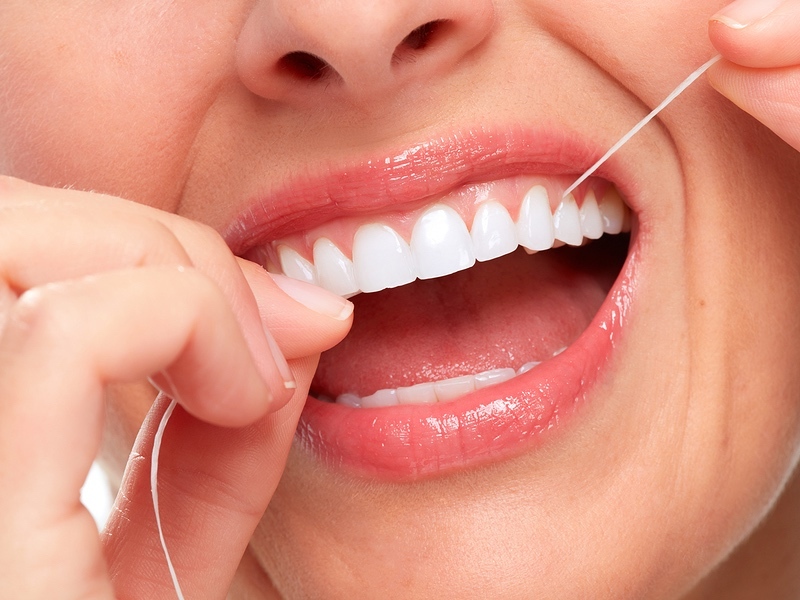 Monofilament floss will not rip or tear, and because of this, many people find that it pulls in between the teeth easier. This type of floss is generally referred to as “glide” floss. Dental tape is nylon floss in the shape of a wide, flat ribbon. 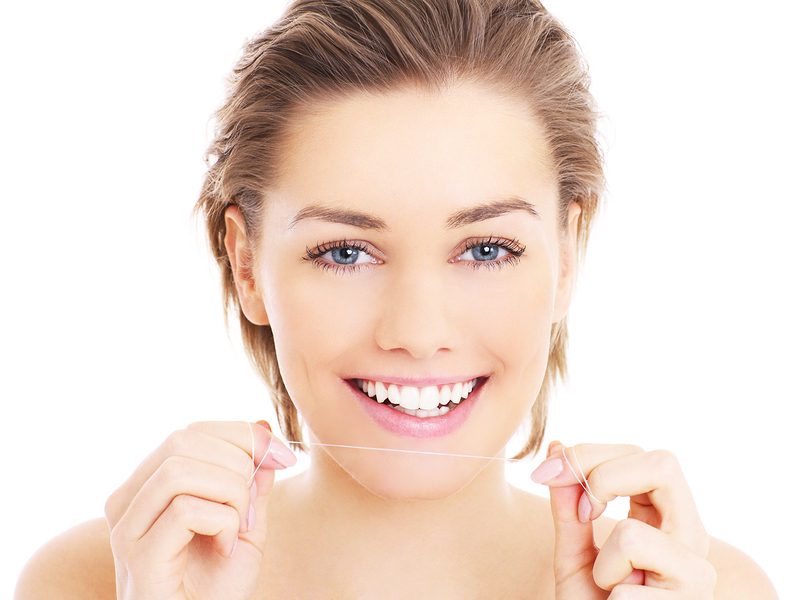 Many Choose Your Smile patients find that dental tape is the easiest floss to get between their teeth. For those of you with braces or appliances, there are also flosses designed to be used with these devices. Make sure to ask about flossing. You don’t want to break this important habit just because you’re having your teeth aligned! At Choose Your Smile in Kelowna, we encourage regular brushing and flossing, as well as six-month dental checkups. Our services include general and cosmetic dentistry. Give us a call today to schedule your next appointment. Who doesn’t love the holidays? For the team at Choose Your Smile in Kelowna, it’s probably our favorite time of year! They’re a time to take a break from your regular routine and spend time with friends and family. If you’re not careful, though, holiday celebrations can take a toll on your dental health. They ordinarily involve delicious food, drinks, and sweets that can put you at risk for tooth decay and other issues. As you navigate the holiday dessert tables, settle upon something special that you don’t usually see during the rest of the year. This will help you to stay satisfied without overdoing the sugary stuff. Also, it’s helpful to have a glass of water with your dessert so you can take a drink after you finish and rinse some of the sugars from your teeth to protect your enamel. Don’t overlook your dental health routine when your schedule is busier than normal. Regardless of the season, it’s vital to brush your teeth at least twice a day and floss at least once per day (ideally, at night before going to bed). The team at Choose Your Smile in Kelowna wishes Happy Holidays to everyone! We provide general and cosmetic dentistry. This post from Choose Your Smile dentistry in Kelowna focuses on a problem that many people experience – bad breath. Bad breath, or halitosis, has several causes. The most frequent cause is poor oral hygiene. Often, halitosis arises midday arising from not brushing teeth between meals. Small food parts on the teeth, gums, and tongue grow bacteria. The wastes of the bacteria and decay of the food create a sulfur compound, which emits the unpleasant odor. Food particles, bacteria, and sulfuric gas all need to be removed to eliminate bad breath caused by poor oral hygiene. While poor oral hygiene is the most frequent cause of halitosis, many factors can contribute to or worsen the issue. The best remedy is regular, thorough brushing and flossing, but other actions might also be needed depending on the cause(s). For example, a salivary gland issue or certain medications can cause dry mouth. Saliva moistens the teeth and gums, clearing away odiferous dead cells. Saliva also neutralizes the ever-present acids on the tongue, gums, and cheeks. Limiting caffeine, chewing sugar-free gum, using OTC saliva substitutes, and using a humidifier can add moisture to the mouth. Remember, the very best defense to bad breath is a good dental care routine – brushing, flossing, and regular visits with the dentist. At Choose Your Smile in Kelowna, we provide skilled dental care with general and cosmetic dentistry. Make an appointment with us today.